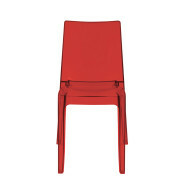 Chair with painted iron frame and wooden, aluminium or padded seat and backrest. 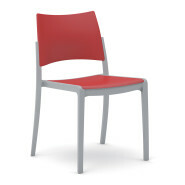 Chair with painted iron frame with wooden, aluminium or padded seat and backrest. 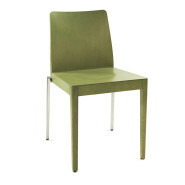 Available also in galvanized gold and “olive” steel feet. 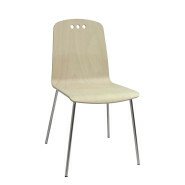 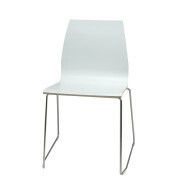 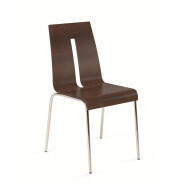 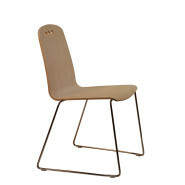 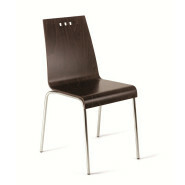 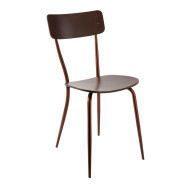 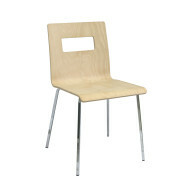 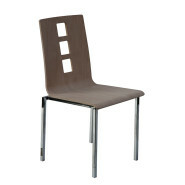 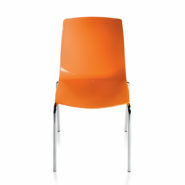 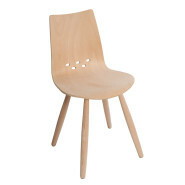 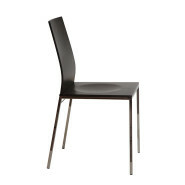 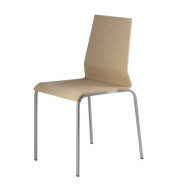 Plastic chair with wooden or satin aluminium legs. 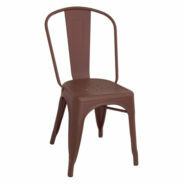 Chair with painted iron frame and wooden seat and backrest. 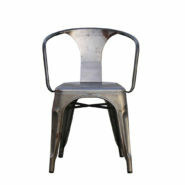 Stacking chair with wooden shell and tubular chromed or painted iron frame (20×20mm). 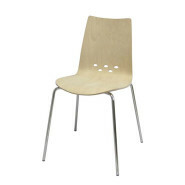 Stacking chair with wooden shell and chromed or painted iron wire frame Ø18. 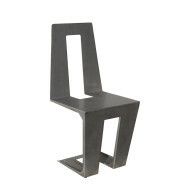 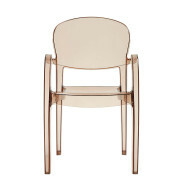 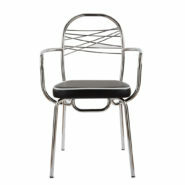 Chair with wooden shell and tubular ø16 chromed iron frame. 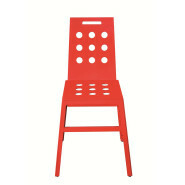 Available with painted or smooth seat. 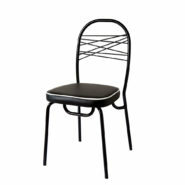 Chair with wooden shell and chromed iron wire frame ø11. 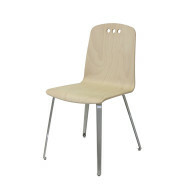 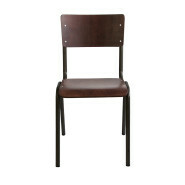 Stacking chair with wooden shell and stainless steel or painted or chromed iron frame (30×20mm). 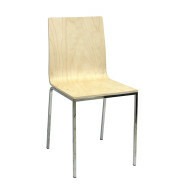 Chair with wooden shell and squared chromed iron frame 15x15x2. 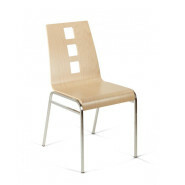 Stacking chair with wooden shell and tubular chromed or painted steel frame (20×20mm). 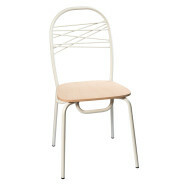 Plastic chair with chromed iron wire frame ø11 or tubular frame ø18. 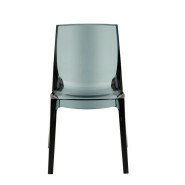 Stacking chair in transparent polycarbonate. 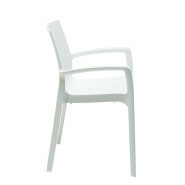 Stacking chair in polycarbonate with armrests. 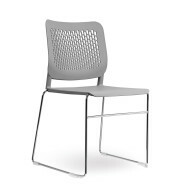 Stacking chair in transparent polycarbonate with armrests. 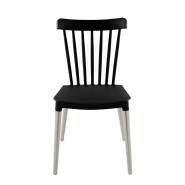 Stacking chair with painted beechwood or oak seat and chromed iron wire frame Ø18. 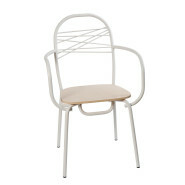 Vintage style chair with beechwood seat and tubular painted frame. 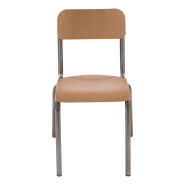 Stacking chair with beechwood seat and tubular painted or chromed frame. 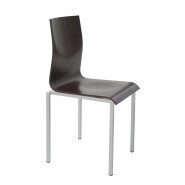 Stacking chair with padded seat and tubular painted or chromed frame. 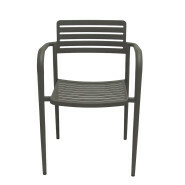 Stacking chair with armrests, beechwood seat and tubular painted or chromed frame. 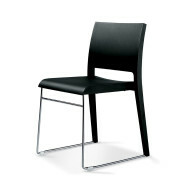 Stacking chair with armrests, padded seat and tubular painted or chromed frame. 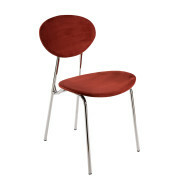 Chair with painted wood shell and tubular 20×20 chromed or painted iron frame.